Anyway, this recipe is based on my now favorite drink at Starbucks. For a long time when I went to Starbucks I got an iced mocha, marble mocha, coconut mocha, iced latte, or a frappuccino – can you tell I like the coffee/espresso combo? Then I developed an allergy to espresso (heartbreaking), so I started ordering their double chocolate chip frappuccinos for a while. It wasn’t until a few months ago that I started getting into their Iced Green Tea Lemonade. I have never been a tea person (the Anglophile within me hates me for that), but when the calm flavor of green tea is mixed with the zing of citrus, I can definitely get on board. As anyone who has ever been to a Starbucks knows, those drinks can get pricey. That plus the fact that my Starbucks gift cards had all run out prompted me to go ahead and recreate this drink at home. It took a lot of tweaking, but I finally have it just right. Perfect in time for summer! Pour the honey into a large glass bowl. (I use glass because it is heat-safe.) Boil 2 cups of water, and pour on top of the honey. Whisk together until the honey is melted. Add the green tea bags. Allow the tea to steep for 5-10 minutes, depending on how strong you want it. Pour in the remaining 3 cups of cold water, and mix everything together. Allow to chill in the fridge for at least 2 hours before serving. Serve over ice, and enjoy! 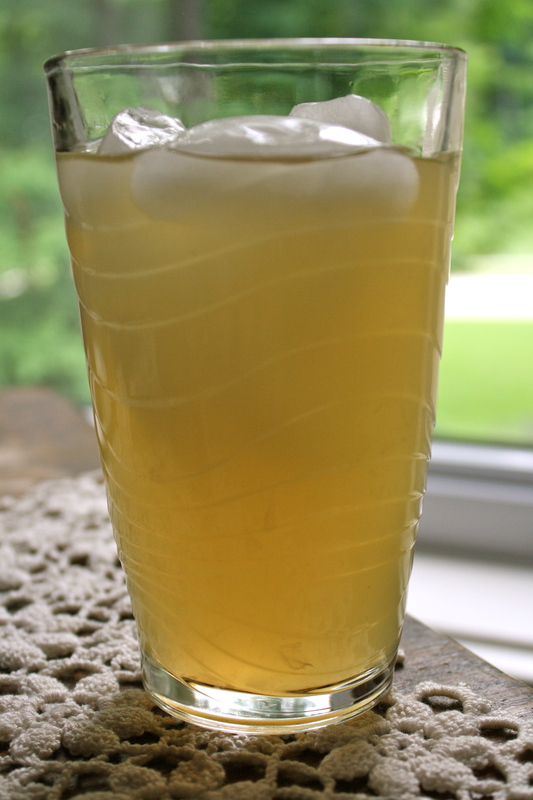 – This recipe makes for a very zingy Green Tea Lemonade. If you aren’t a huge fan of the tartness of lemons, I’d add another 1/4-1/2 cup of cold water to the mix. – I’m not really into this, but if you added some vodka to this, it would be a BBQ/party drink! 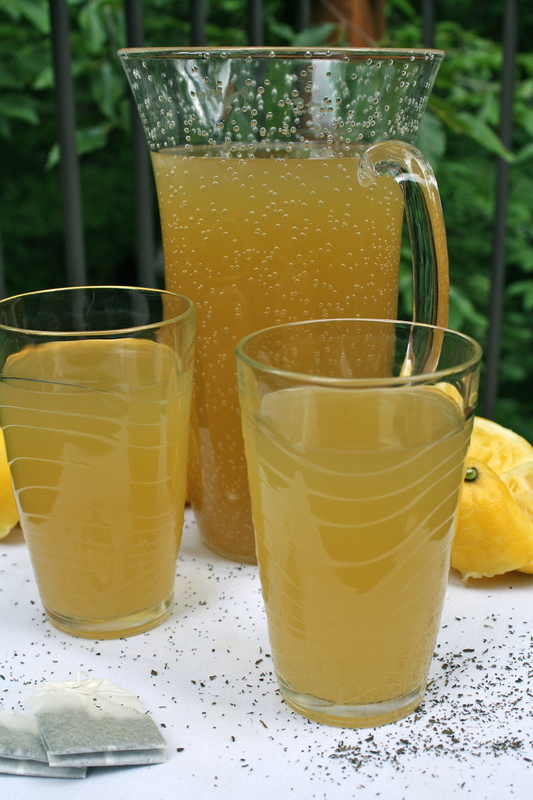 Joshua is always looking for a good lemonade tea recipe. I’ll have to remember to pick up some honey next time im out & about. He’d love it! Wow sounds do good and easy to make! It couldn’t be easier! And thanks! Wow. SO much easier than I thought this would be to make! Sounds awesome. I bet this would be great as popsicles too! OH. MY. GOSH. You’re a genius. I am totally making this into popsicles next time! I love the popsicle idea. im going to try it.